Trevon Lewis Forward (NY Gauchos) – Lewis was possibly the best prospect that we saw in the 6th grade division. He is a long wing with ball skills. He plays hard on both ends of the floor and can guard one through four on defense due to his length and athleticism. Offensively he excels at slashing to the basket in the half court or finishing in transition. Trevon makes winning plays and has a bright future if he continues to work hard. 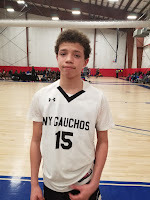 Tai Turnage Guard (NY Gauchos) – Turnage had a killer mentality in the championship. He was looking to take over the game on both ends of the floor. On the defensive end he was strapping up getting in opposing guards chests making it difficult for them to operate. Offensively he was attacking the cup converting through contact with either hand. Tai keeps his dribble navigating the defense trying to find a crease to attack the defense to get a bucket. He has a high basketball IQ. 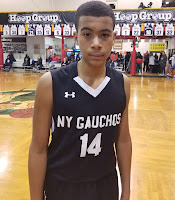 Brandon Stores Forward (NY Gauchos) – Stores is a strong power forward that plays with a lot of energy. He is more effective on the defensive end blocking shots and rebounding. He can finish around the rim and gives bigger forwards problems because he runs and moves so well. As he develops more on the offensive end we could see him out to the wing later in his basketball career. 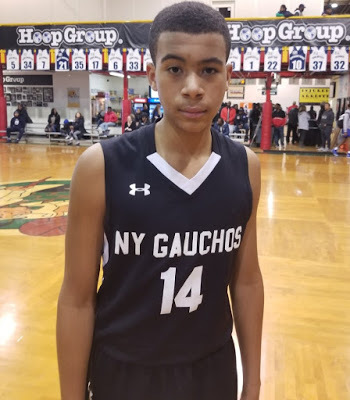 Armani Mamgual Forward (NY Gauchos) – Armani is a high energy power forward that would help any team win. He has good size and plays with a team first attitude. He rebounds on both ends of the floor and can finish around the rim or in transition. He will come up with 50-50 balls by diving on the floor or take a charge on the defensive end. Eric Fagin Jr. 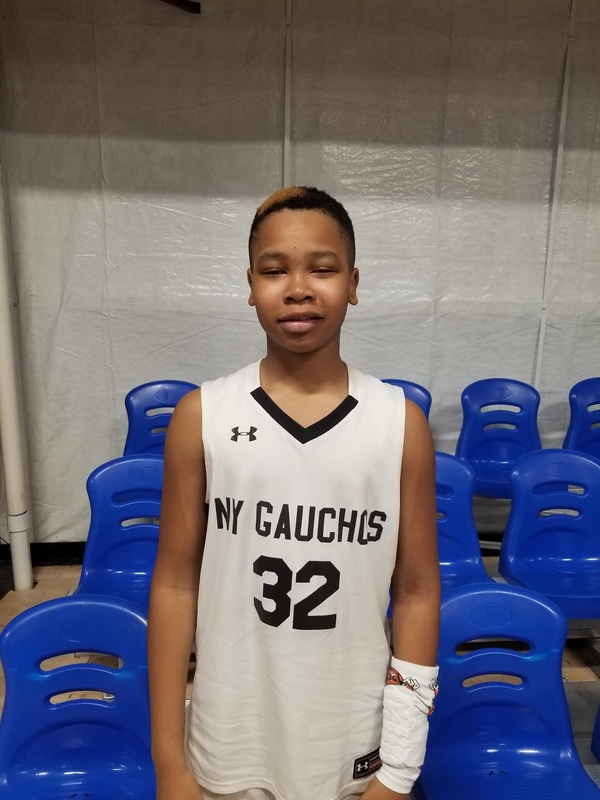 Forward (NY Gauchos) – Fagin is a forward that has a good skill set. He has ball handling skills that he uses to attack the basket. Eric can also knock down 3 pointers adding an additional scorer to the floor for the Gauchos. He has a good feel for the game and a high basketball IQ with a willingness to make the right play for his team to be successful. 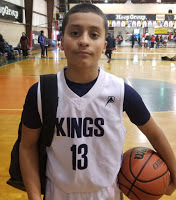 Richard Rosa Guard (KSK) – Rosa is a true point guard that is a natural born leader on the floor. He has a great feel for the game and a high basketball IQ. He understands when he needs to take over the game and score the ball or when to get his teammates involved. Richard has the ball on a string and with his strong frame he can get anywhere on the court that he wants. 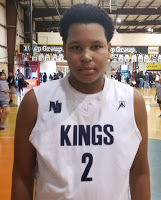 Mekhi Ragland Forward (KSK) – Ragland is the best big man we saw in the 6th grade division. He has good height and is strong, can run good and has soft hands. He has a high skill level, with a soft touch around the rim and he can knock down his jump shot out to 15 feet. 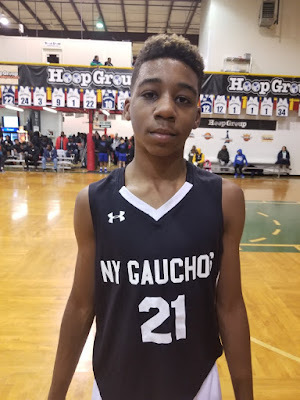 If he catches it on the block or deep in the paint it is a bucket and Mekhi rebounds at a high rate on both ends of the floor. 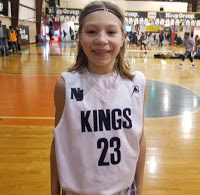 Luke Schorr Guard (KSK) – Luke is the best long range sniper we have seen in the 6th grade division. He shoots it with confidence and the whole gym thinks it is going in once he releases it. He is good for multiple threes every game he steps on the floor. Schorr also has been working to be a secondary ball handler but he is at his best on catch and shoot 3 point situations. Jordan Ghee Guard (KSK) – Ghee is a combo guard that can handle the ball good enough to run the point or give Rosa a break when he is tired. He is wired to score and that is his main role on his squad. He can score from all 3 levels and has a nice 3 point shot. You can tell he has defensive end a good feel and high IQ. Jordan also can strap up on the.